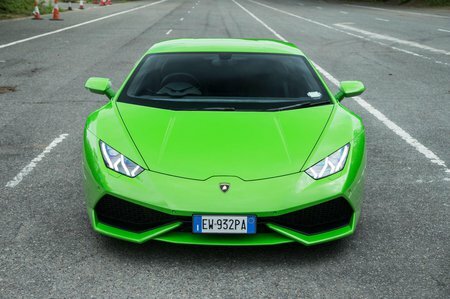 Lamborghini Huracan Running Costs, MPG, Economy, Reliability, Safety | What Car? If you’re overly worried about costs, then you should probably rethink whether a Huracán is the right car for you. However, even supercar buyers want to know they aren't throwing money down the drain, and Lamborghini's entry model is competitive on most fronts. It’s usefully cheaper to buy than the rival McLaren 720S, for example, and while it does look very pricey compared with the Audi R8, that Lamborghini badge and general road presence will, for many, be worth the extra. We'd recommend going for the LP 580-2 version; it's easily the cheapest in the range and yet feels barely any slower than the more powerful, four-wheel-drive LP 610-4. Be aware, though, that while the Huracán may be cheaper than its rivals, it isn't predicted to hold its value as well. Servicing, tyres and insurance are all going to be seriously expensive, too, in keeping with this type of car. At least the Lambo is more generously equipped than many rivals, with leather, clmate control, sat-nav and heated seats all fitted as standard.